Bothwell WA (SPX) - The US Air Force Research Lab (AFRL) has awarded Lockheed Martin $26.3 million for the design, development and production of a high power fiber laser. AFRL plans to test the laser on a tactical fighter jet by 2021. 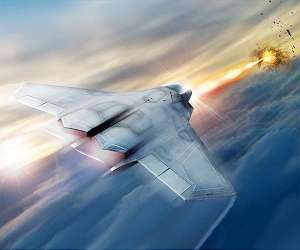 Lockheed Martin has more than 40 years of experience developing laser weapon systems. The LANCE contract leverages technology building blocks from internal research and development projects, including the ATHENA system and ALADIN laser, as well as contract experience gained from programs such as the U.S. Army's Robust Electric Laser Initiative (RELI) program.